Well there isn’t much you need really and it all depends on the weather. Although we will kit you out with all the latest protective gear – full head cover goggles, body armour and camouflaged combat suit, you still need to think about what to wear underneath – turning up in flip flops and shorts is not going to get you very far! Ideally you want some angle support for when you are running and jumping around the forest, so lightweight walking boots would be perfect. However most people wear old trainers. Why old? Well it does occasionally get wet and muddy in the woods, so we suggest saving your white Nike’s for the trip home! Mainly you want something that is comfortable, so a loose pair of jogging bottoms or jeans will do. Don’t forget these will be worn underneath your coveralls so any colour will do. This will depend on the time of year. As a general rule you want long sleeves and enough layers to give you protection without getting too hot or cold. Most people wear too much in the colder months causing their bodies to overheat. A tee shirt and hoodie or fleece is usually enough. Jackets should not be worn and hoods should be left down as this will only cause overheating and then this will cause your googles to steam up. The goggles we provide covers the whole face and head, so for reasons mentioned above, we suggest nothing else is worn. However on very cold days, a not too heavy beanie hat can be worn to keep the ears warm. These are the most vulnerable parts of the body as everything else is covered. Although at Campaign we now offer the new Low-impact version of paintball, we still suggest bringing a pair of lightweight gloves to protect the hands when being shot and crawling around the forest. Any non cumbersome gloves will do, running, gardening etc but not ski gloves. If you can’t find anything suitable, don’t worry, we have paintball gloves in all sizes for sale here at Campaign. Once again it depends on the weather. If you think it’s going to be wet and muddy, (feel free to contact us for local conditions) a spare set of clothes is handy for the journey home. 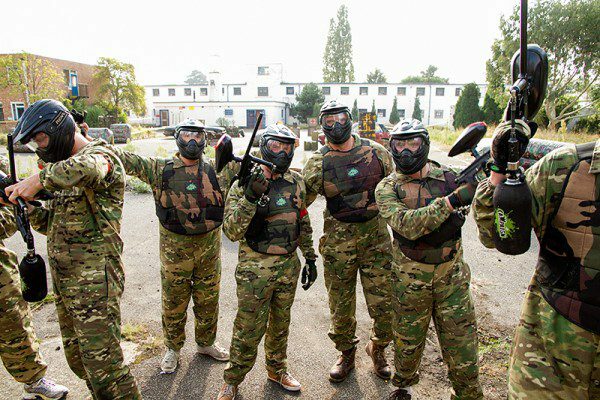 Do paintballs wash out of your clothes? A common question and the answer is yes. 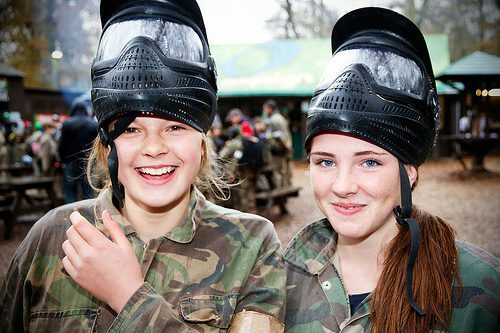 Paintballs are water soluble, non toxic and biodegradable and will wash out of your clothes on a normal cycle. Ok I hope this helps. If you have any further queries, try our FAQ page or feel free to get in touch.